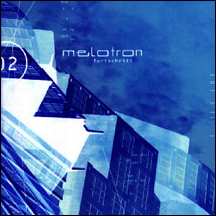 Blending elements of early synthpop with sounds of the modern decade, Melotron has created their own niche within the musical spectrum. All eyes will be on this trio as they further their evolution & elevate to icon status throughout the world. Fortschritt features ten stellar tracks that will leave you wanting more. Fortschritt features the megahit "Tanz mit dem Teufel" which spent several weeks in the DAC top 10.